We manufacture Seed packaging bags which are used for packing different types of seeds such as vegetable, oil, crop, fruit and other herbal seeds. These bags have a high tearing strength and are air-tight which maintains the quality and aroma of seeds. We have a large manufacturing unit equipped with the latest machinery and an expert team works effectively to provide seed packaging bags of different size and color as per the requirement. We manufacture durable bags which are easy for transportation and reaches to consumer end in its original form. 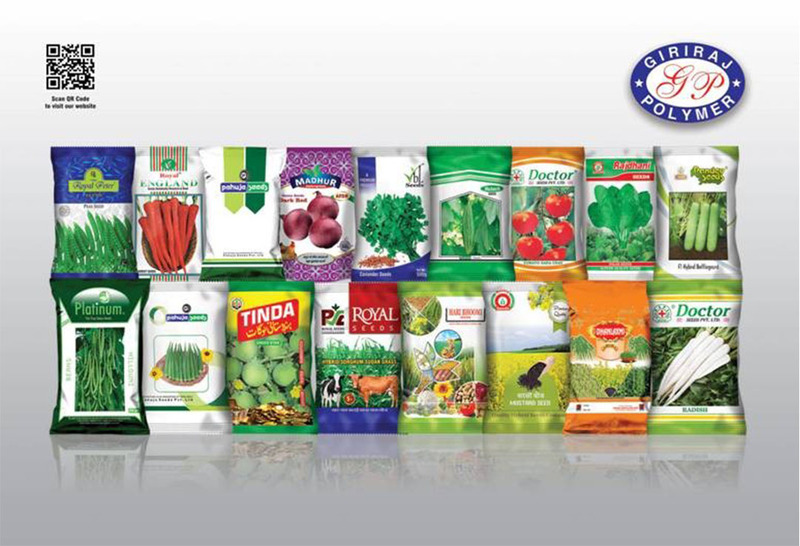 Giriraj polymer has become the leading seed bag manufacturer from Delhi who provides their services across the nation. We have helped our clients to revamp their old branding style and also established a large number of new brands in the market. Our unique design and vibrant color attract consumer attention. We promote the brand by printing right information about the client and product so consumer finds it genuine to buy. Our on-time delivery and prompt after sale service has helped us to gain name and fame as best seed bag suppliers in the industry who have served reputed brands with quality work. Any requirement related to seed bag manufacturer, you should contact Giriraj Polymer and our team will provide a best cost-effective solution to boost your brand in the market.